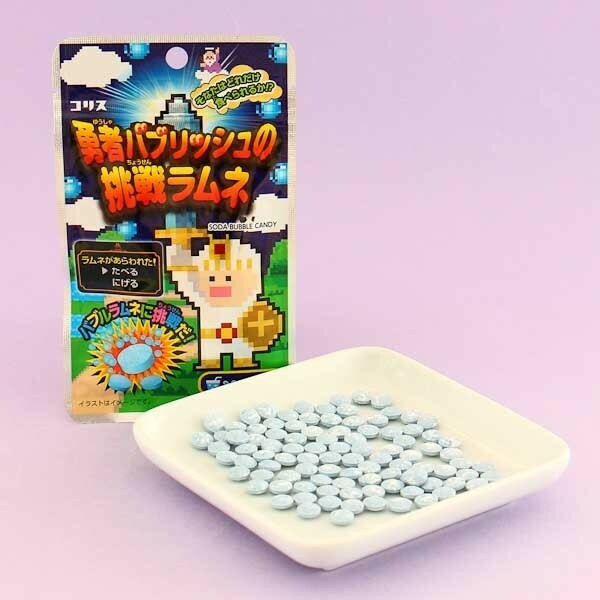 Enjoy the fizzy ramune in a sour candy form with these cute hard pressed powder sweets by Coris! Ramune is a well known Japanese citrus flavored refreshing soda drink, which is popular especially during hot summers. 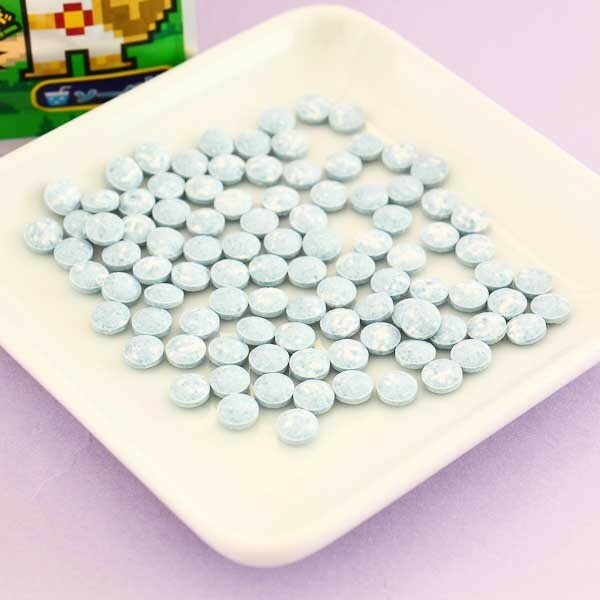 These candies are made from compressed ramune soda -flavored powder and melt in your mouth freeing the sour fizziness! How many can you eat at once?